When your home treadmill isn't running right, you need treadmill repair help. Now, what should you do? What can you do yourself and when will you need to get help? Dan Thompson of Huff-n-Puff Fitness Repair in the Chicago, Illinois area tells us when you will need repair for your home treadmill and how to find it. It won't start or is not operating correctly. You hear any noise that was not there before, such as knocking, ticking, squeaking, scraping, the possibilities are endless! As with any machine, moving parts will make noise but if it has become noticeably louder or doesn't seem normal, odds are a problem is developing. The walking belt is slipping or sticking. Over time, both the walking belt and drive belt will loosen and will need to be tensioned and aligned. This is most likely the problem if the belt stops or hesitates with every footfall. It is very important to determine which belt needs to be tensioned because over-tensioning either of the belts can result in a malfunctioning motor control board. However, if you remove your machine's motor cover and immediately think you are in too deep it is probably best to call a professional. As with any other specialty piece of equipment, a professional repair technician will be able to spot and test for an underlying cause that may not be immediately apparent. Doing an online search for treadmill repair can be confusing and you may want to ensure you are contacting someone who will be able to solve your problem. These sites offer listings of certified treadmill repair providers or customer reviews to help guide your search. TreadmillDoctor.com has a comprehensive list of certified service providers for the US by state, and also has listings for Canada. You can contact the providers yourself from their listings or purchase their service to connect with a provider. Angie's List: You can use this subscription service to find ratings and recommendations for treadmill and fitness equipment repair in your area. A free subscription now gives you access to the listings, or you can get additional benefits with paid plans. Join, log in, and search for treadmill repair. Yelp: You can search Yelp for "Treadmill repair" to find providers in your area and see ratings for them. A treadmill is a large, heavy item. It's likely that you want someone to come to you to do the repair rather than having the difficulty of taking it to a shop. Find out in detail about how to set up an appointment and what the charges will be just to come to the house. Ask how warranty-covered service might be done. While the parts may be under warranty, the time of the repair provider may have to come out of your pocket. Be sure to read the warranty that came with the treadmill and be prepared with the date you bought it, receipt, etc. If you have lost the paper warranty, you may be able to find one at the website of the manufacturer. 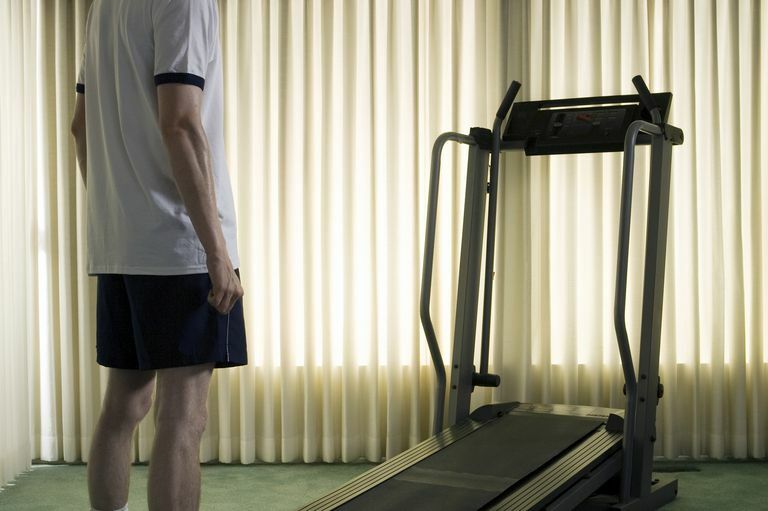 If the treadmill has to go to a shop, get an estimated time for the repair so you know how long you will be without it. Ask how you will be kept updated about the progress of the repair and if any additional charges will be made if they discover more parts that need to be repaired or replaced. Unfortunately, sometimes your treadmill won't be economical to repair. Ask about options for recycling or donating the treadmill if it is beyond repair and whether you'll incur more charges for having it disposed of properly.